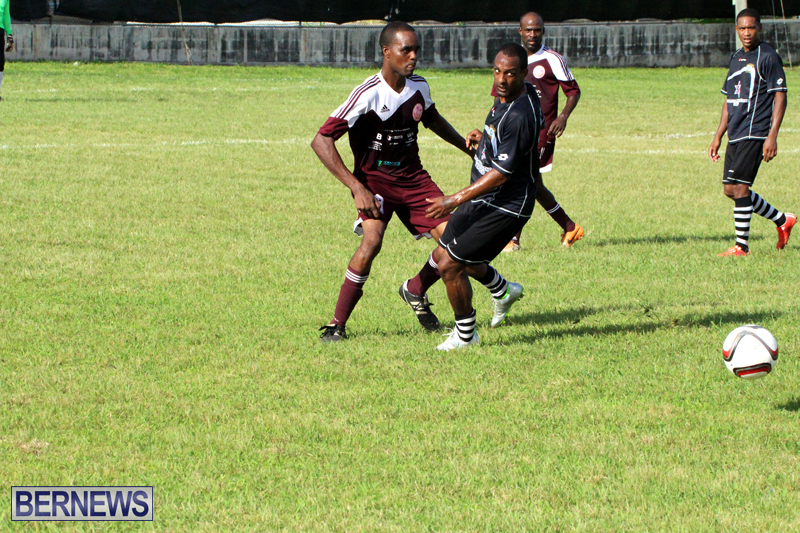 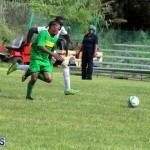 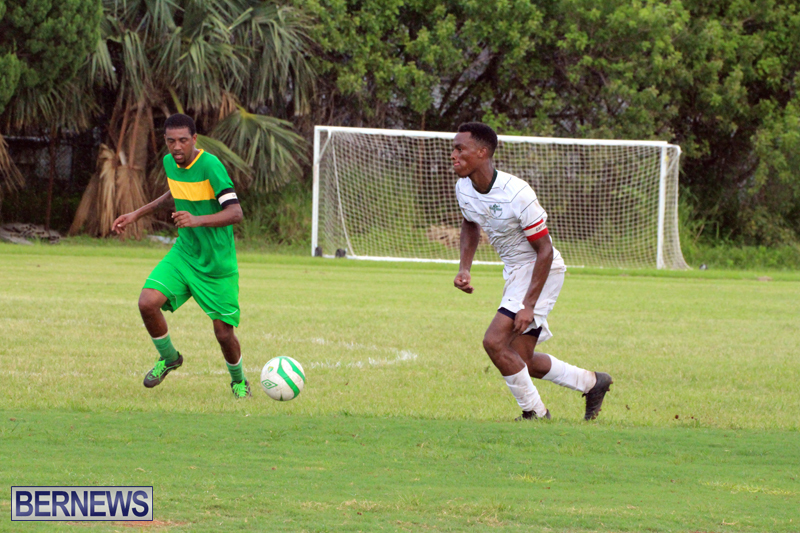 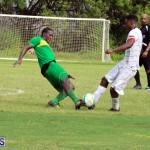 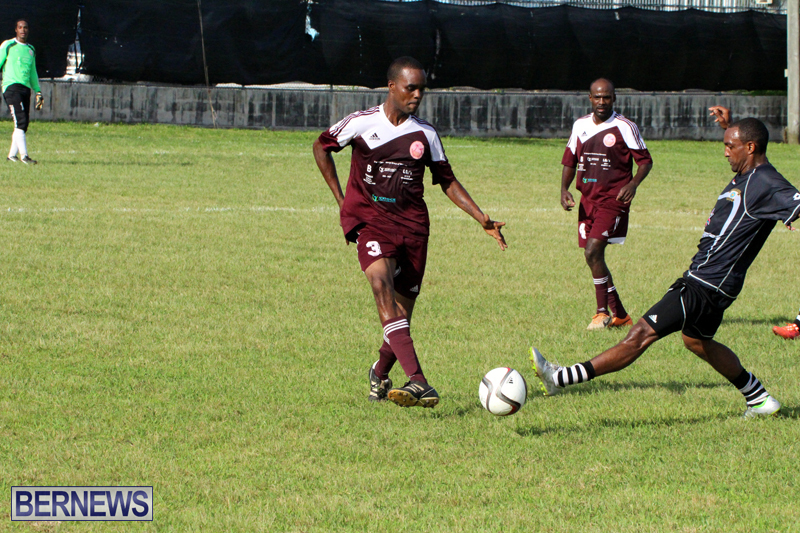 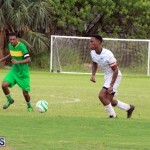 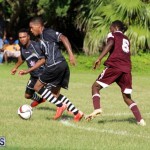 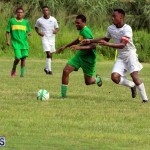 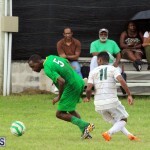 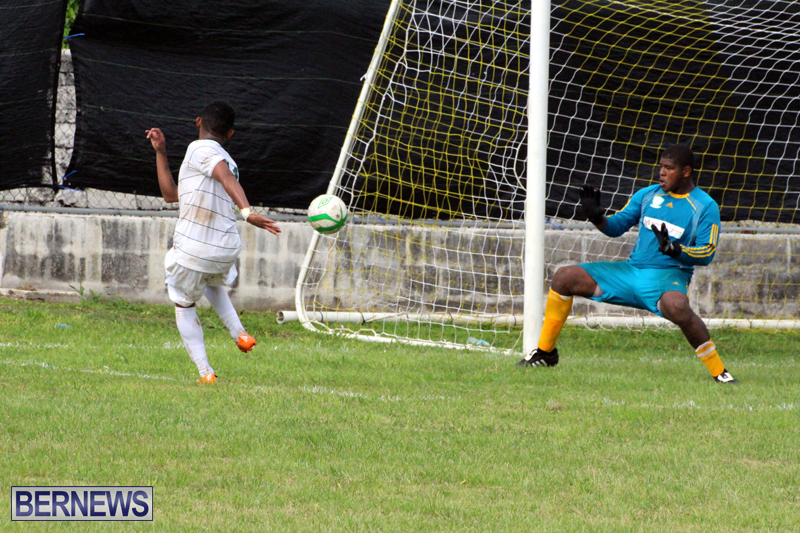 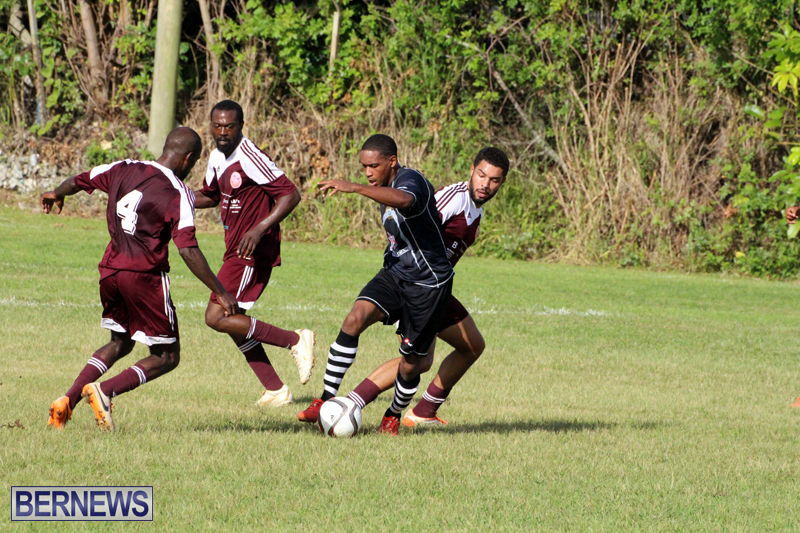 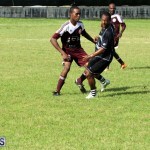 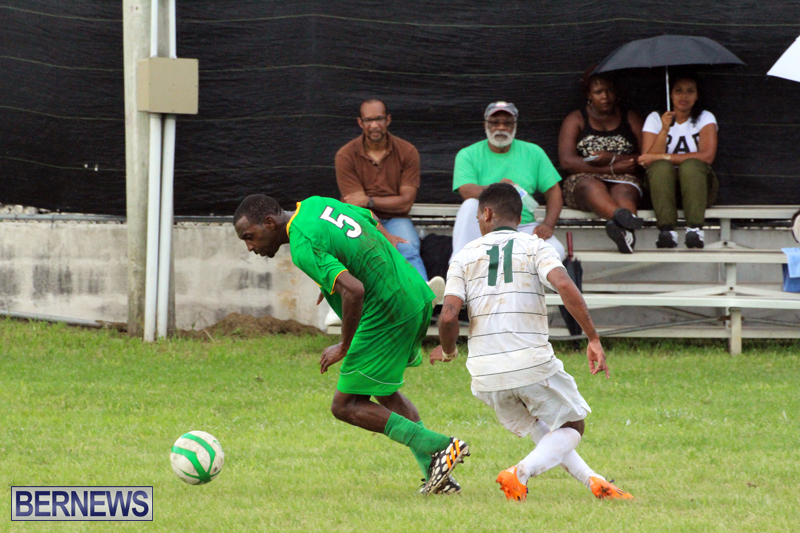 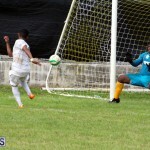 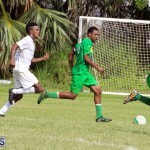 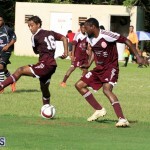 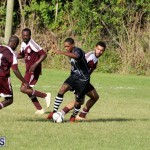 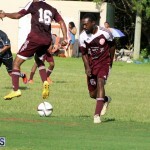 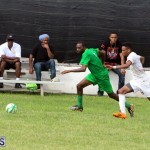 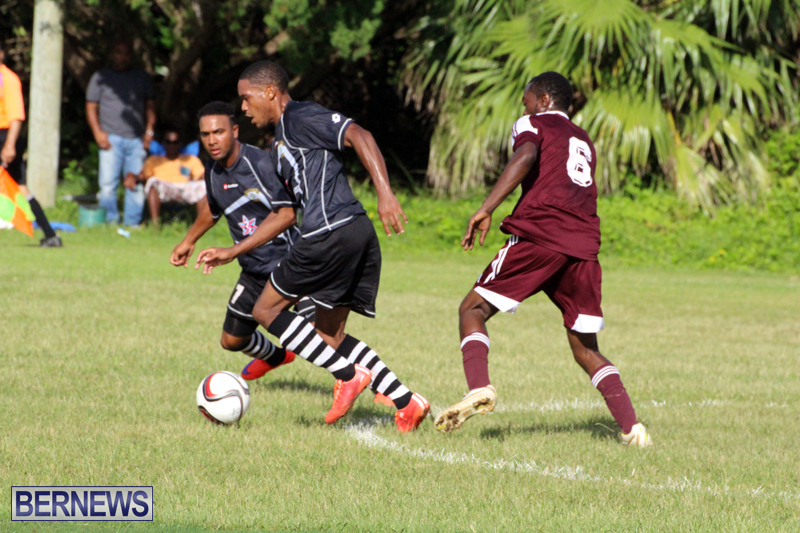 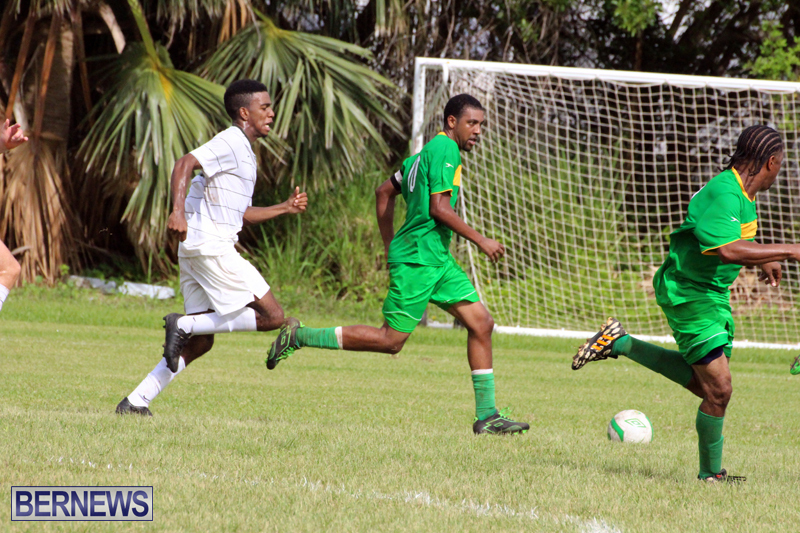 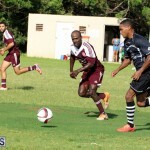 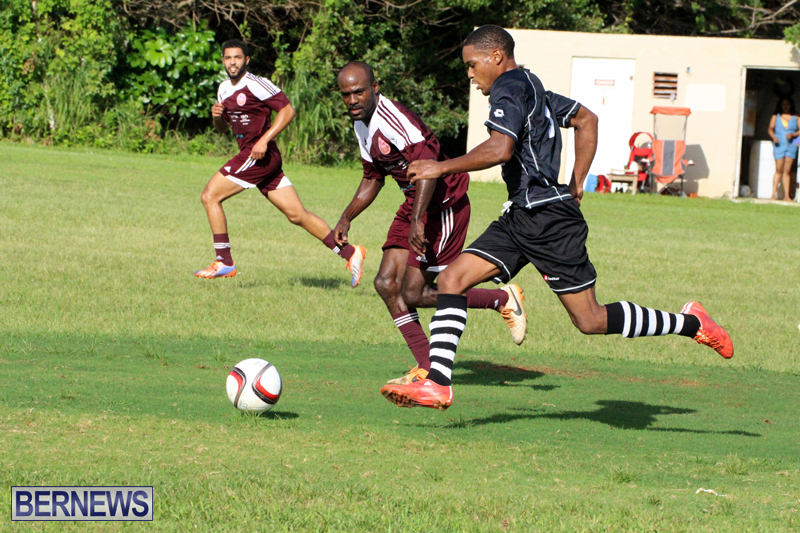 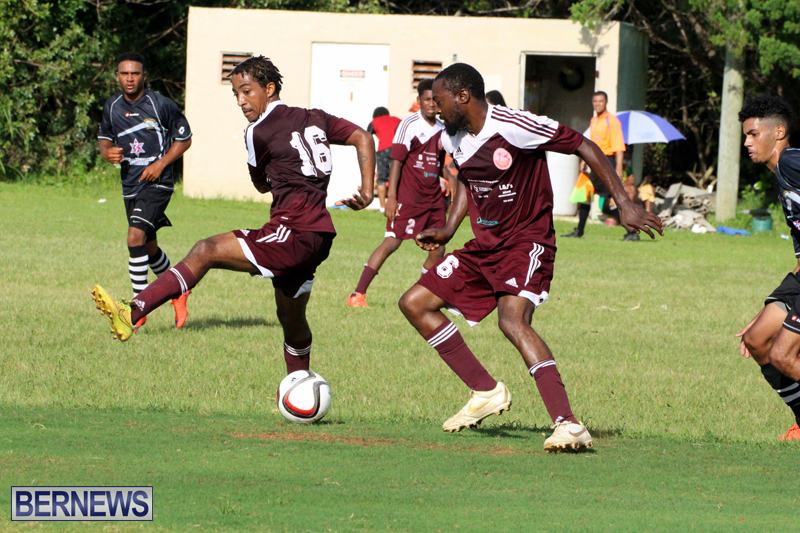 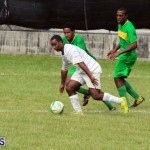 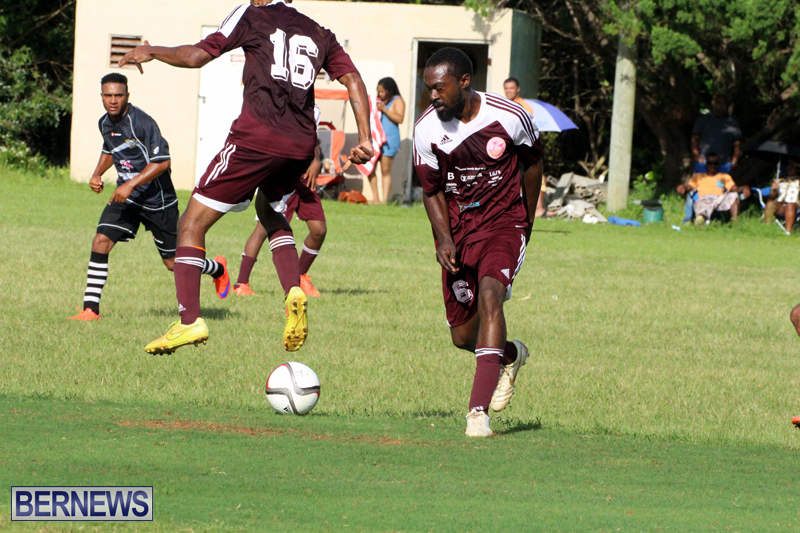 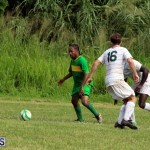 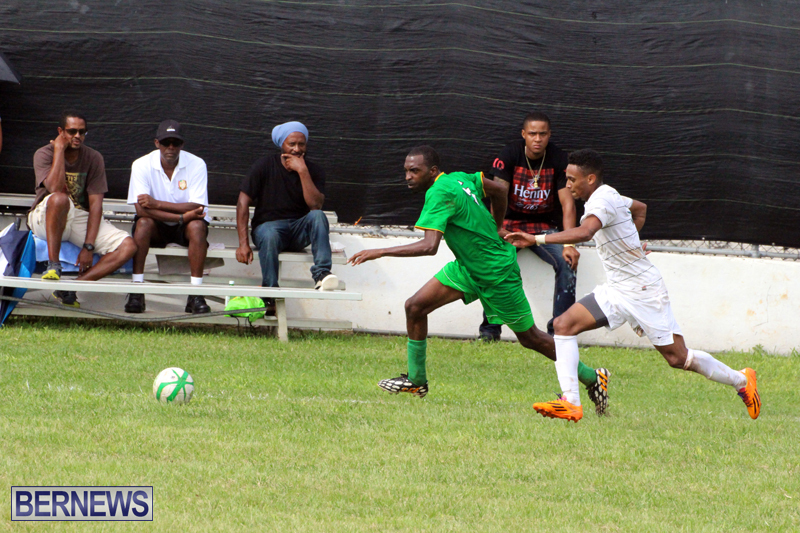 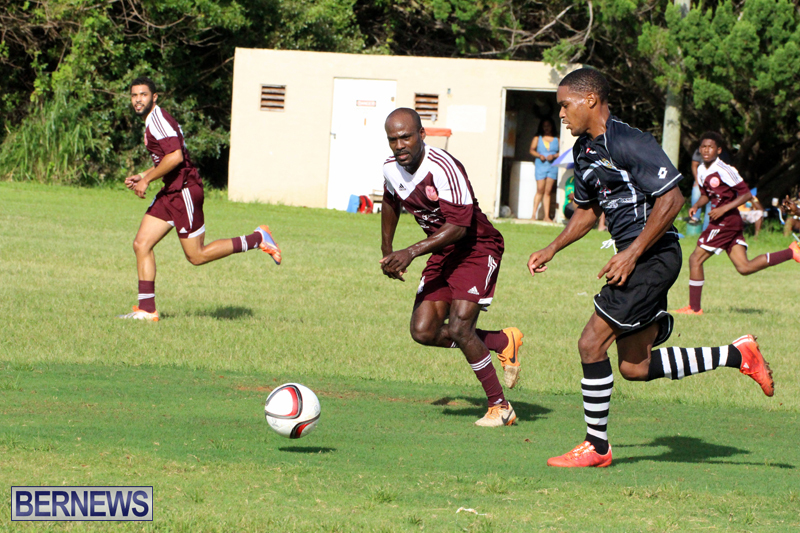 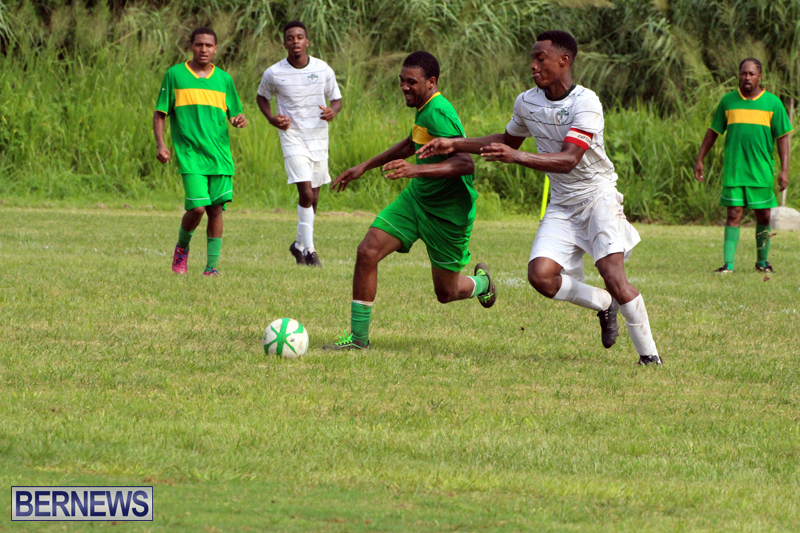 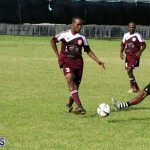 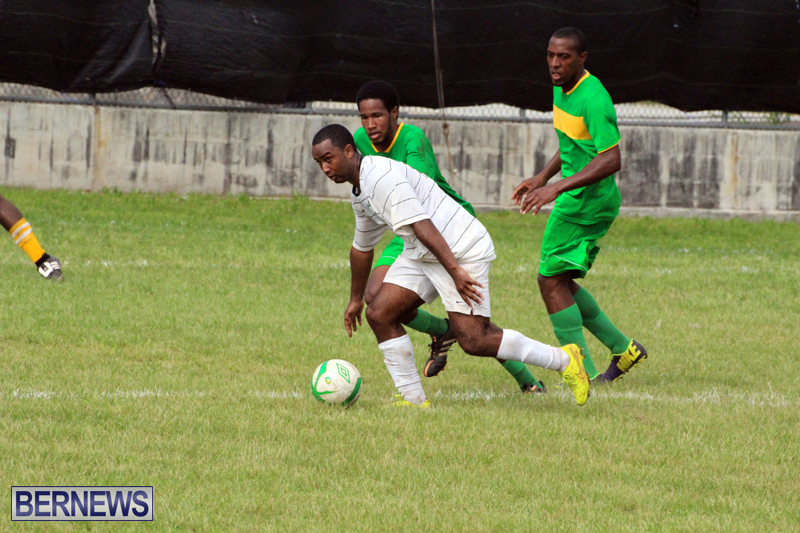 [Updated with photos] Four teams were on the field in this weekend’s Group A and Group B football action, with Robin Hood notching a 2-1 victory over the Devonshire Cougars in Group B, and the PHC Zebras winning 1-0 over Hamilton Parish in Group A. 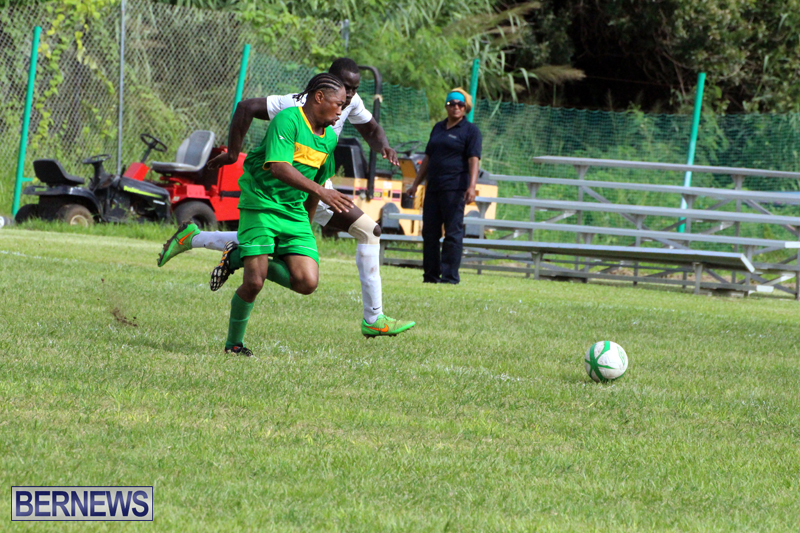 At the St. John’s Field, this Group B Dudley Eve match came to life in the 41st minute when new signee Shannon Burchall gave Robin Hood a lead that they would hold at the halftime break. 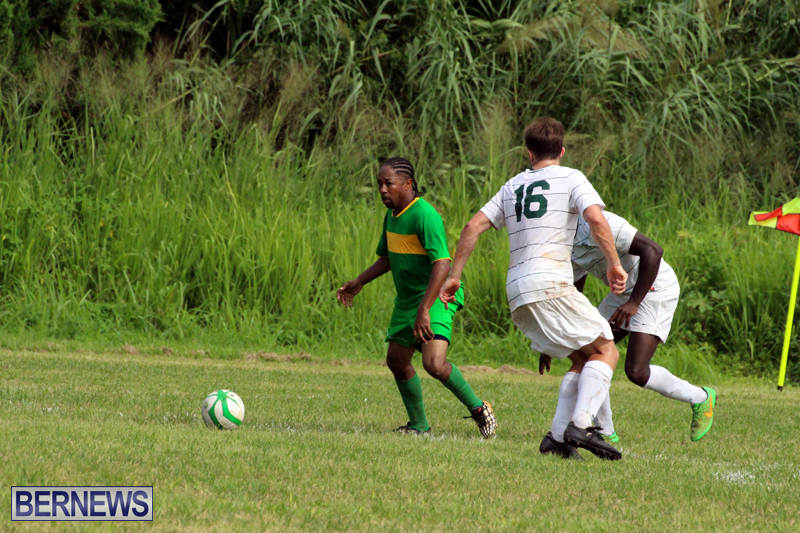 The Devonshire Cougars were level six minutes into the second half, when Chamari Burns finished off a move by calmly slotting the ball pass an advancing Jason Simons in goal for Robin Hood, but six minutes later Nathan Peskett headed Robin Hood back in front, as a free kick crossed in the box was mis-judged by everyone except Peskett, who headed in from close range. 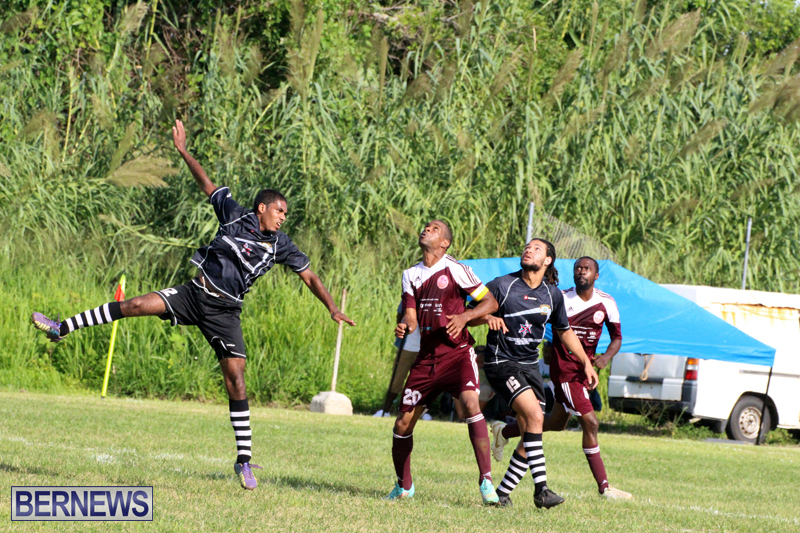 After a scoreless first half, the PHC Zebras went ahead of Hamilton Parish 1 – 0 in the 73rd minute when Shakir Smith found the back of the net. 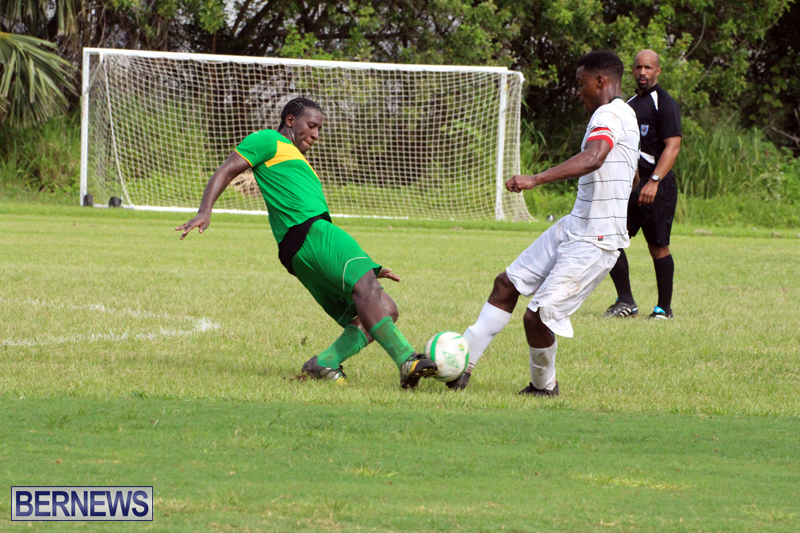 Neither team would find the back of the net for the remainder of the game as the PHC Zebras picked out the win and lead the Group.